I always research the origins of blogging awards because I want to know the rules and I want to link back to the original creator. 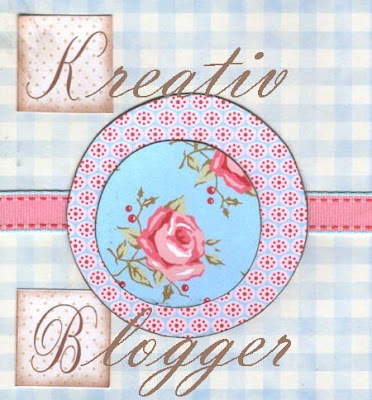 I was surprised to find that the Kreativ Blogger Award was created by Hulda in Norway in May 2008. Surprised because Hulda created this award the old-fashioned way, with paper and scissors. Now that’s being kreativ, go girl! I found Hulda’s blog though Simon Food Favourites in a Google search, as he too was looking for the origins of this award. He explains in perfect detail his dislike for these chain-letter type blogging awards (I’d never thought of it that way – chain letters are rather annoying) and adds a different spin to the rules. Check out his link above. I like how he thinks, and he spells favoUrites with an U, must be a good man, eh! 7. Leave a comment on the blogs to let them know they have been nominated. 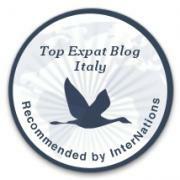 Most importantly I want to thank Canadiantravelbugs’s Blog for the nomination. If you don’t know anything about the Canadiantravelbugs then I suggest you click their link to discover the adventures and observations of a married couple living and working in China. Thanks Guys! I’ve just completed the first three rules, and now I’m going to change it up a bit. I am a Kreativ blogger after all. 7 Things My Sardinian Life Wants to Know From You – My Faithful Followers. What are your favourite type of posts on My Sardinian Life? What posts make you silently sigh “not again,” when viewed in your WordPress Reader or inbox? How can I improve my site? Theme, Layout, Widgets … etc. What do you want to see more/less of? How do you feel after visiting My Sardinian Life? Do you leave comments, likes, or share the posts you’ve read on My Sardinian Life? After blogging for two years and building up over 250 posts on Sardinia, what should be my next step? Oh, and I’m not forwarding this blogging award on, I’ve exhausted all my means with the blogs I regularly follow and who wants to be annoying? I love awards and being recognised is something we all deep down enjoy, but I find it hard too to always nominate more and pass it on. I work full time (or more than that as a life of a teacher is not your typical 8 hour a day job), so I have little time to explore other blogs as much as I like to. I have had to limit myself to a few that I have (or they have found me) stumbled upon and enjoyed. That isn’t to say I don’t occasionally I check others out. That makes it hard to nominate others, not to mention the feeling of leaving someone out and hurting their feelings. After the follow up button being automatically left on I am still catching up on email notifications! I was getting tons a day and sifting all through them is crazy! I just hope I don’t miss anyone I wanted to reply to! This has lead to a small bloggers nightmare for a lot of people I think! I’d like to see more short videos: I loved watching the Sardinian’s eat a fish head and, later, you running while filming! I like the post that also reveal a little about you and how Sardinia touches you…they touch me. Maybe you should get some locals to put guest posts up with their perspective…or do more history/mythology…I luuuuuuuuvvvvvvvvvvvvv history/mythology, and I figure a place like Sardinia has lots of that. Fighting off wild sheep, haha! Thanks Jo for your great comment, Ill have to start researching some history and mythology – really good call. Thanks for the great idea! I am sure somewhere in there you could combine mythology and fighting wild sheep…oh what a story that would make !!!!!! Congratulations! You did the right thing! I have thirteen to acknowledge!!!! I love all your posts on Sardinia. The last time i gave out awards were to new blogs i found. Congrats on the award, and thanks for not passing it along–an honor I wouldn’t have deserved to begin with. But you are wrong, you do deserve an award. Your writing is great! I don’t know why Im just seeing these comments now. The A to Z challenge sounds super fun, but I think Ill start it in the fall! Thank you for sharing my stuff around the internet it’s truly appreciated! Good way to switch it up. I have a blog award that I have to get to but I’m not going to forward it on to too many people. I’m going to answer only number one of your questions. My favourite posts are sights in Sardinia as I want to visit some day and DIY projects. Still want to make that bamboo ladder.